Fresh air, natural light, and uninterrupted views – all without insects. 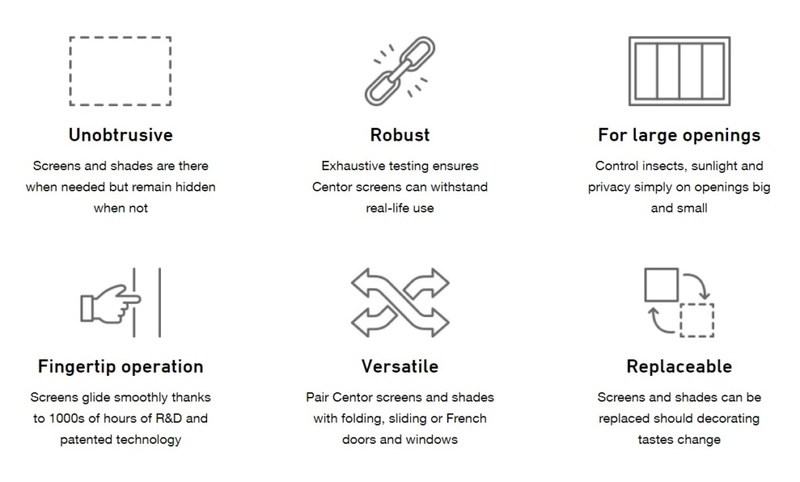 The Centor S2 screen system can be used with windows and doors up to about 102″ wide and 124″ high. Use with new or existing window and door units. The screen moves easily with the touch of a fingertip, operating smoothly, and retracts horizontally when not in use. 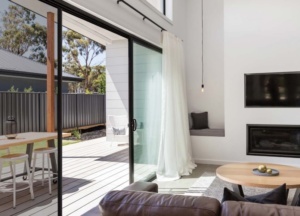 When opened, the screen stays in place and does not snap back, allowing for an easy transition between the indoors and outdoors. 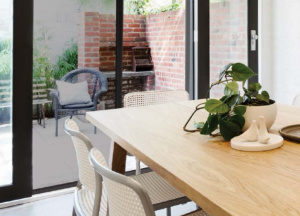 Use with many window types, sliding doors, and double swing doors. 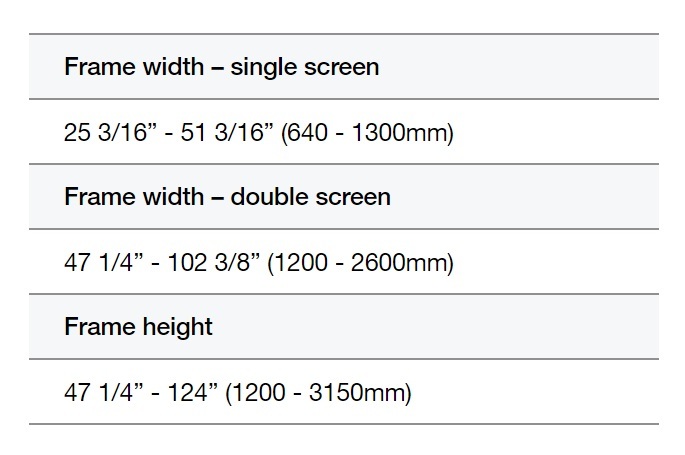 Depending on your needs, the screen can be installed on the interior or exterior. The removable covers allow for easy cleaning, and simple servicing if needed, to allow for continued use. The frame is of durable aluminum and available in natural anodized or painted in bronze or white. Custom colors are available upon request to match the window/door design. 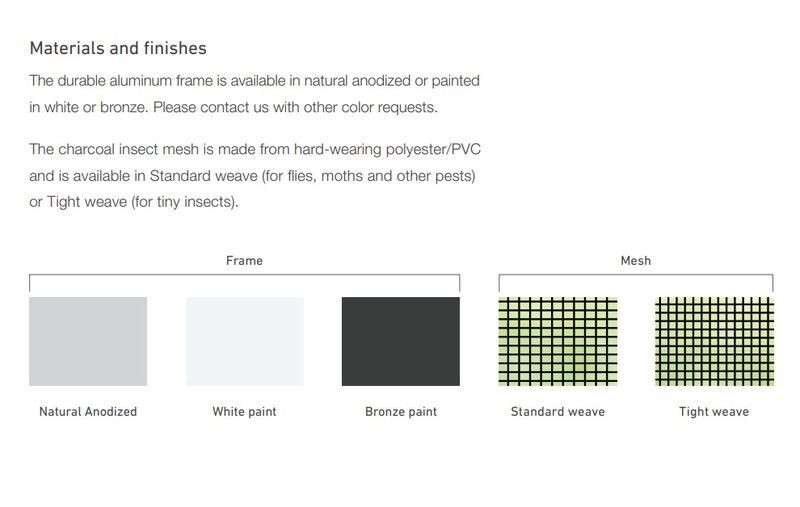 The insect mesh is charcoal, made of long lasting and hard wearing polyester/PVC in a Standard Weave (for larger insects such as flies) or Tight Weave option (for smaller insects). This screen allows for the right amount of circulation while acting as the perfect shield against insects.